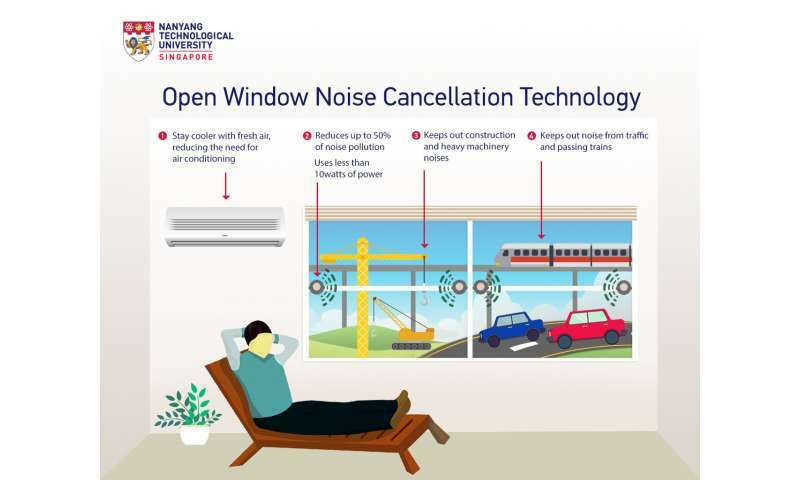 Nanyang Technological University, Singapore researchers have developed a device that can reduce noise pollution entering buildings even while windows are wide open. Designed to be mounted onto window grilles, the device could reduce up to 50 percent of noise coming from nearby environments such as busy roads, train tracks or from construction activities. The device uses 'active noise control' technology—found in many high-end headphones that cancels external noise—that is adapted to work in a large open area. The benefits are two-fold: Windows can be left open for fresh air without disturbance from external noise pollution, and the device reduces the need for air-conditioning to keep the interiors of buildings and homes cool. Professor Gan Woon Seng, Director for NTU's Centre for Infocomm Technology (INFINITUS), who led the research said, "Compared to noise cancellation headphones, what we have achieved is far more technically challenging, as we needed to control the noise in a large open area, instead of just around the ear. The device uses a special sound-emitting mechanism that works like a speaker and is hooked up to a processing unit. Equipped with a microphone, it can detect noise even before it reaches the window and computes the attributes of the incoming noise in real-time. It quickly emits a countering sound or "anti-noise" that has the same waveform characteristics of the invading noise but with one difference: it is inverted or "flipped." 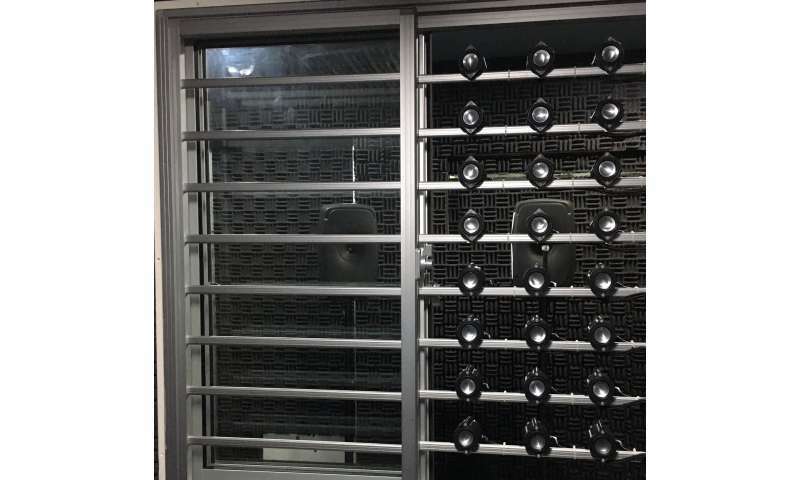 "Our innovation not only computes the right amount and type of 'anti-noise' to emit, but also does it faster than the detected noise can reach inside the building," explained Prof Gan, who teaches at NTU's School of Electrical & Electronic Engineering. They are now developing the technology further by improving its noise cancellation efficiency, and making the device smaller and more cost-effective to produce. Prof Gan said, "We are currently finding ways to improve the technology further so that it can be used not only at window grilles with large openings, but also provide a cost-effective solution that can be easily installed and replaced. Ultimately, we aim to integrate this technology into window grilles that can help mitigate urban noise pollution conveniently."